Why study the leadership development program short course? Candidates who attend this course will be able to interact and learn what it takes be a 21st century successful Christian leader. Through the course you will be able to meet people like yourself who want to be the best leaders they possibly can by incorporating inclusive leadership into their everyday lives. Who qualifies to do the leadership development program? This intensive holiday based program is open to church ministers and leaders. The course requires a candidate to be able to express and understand English language. The program will be taught during the normal school holidays from 8am to 4pm. The period of study for an advanced certificate is 2 years and ordinary certificate is 1 year. 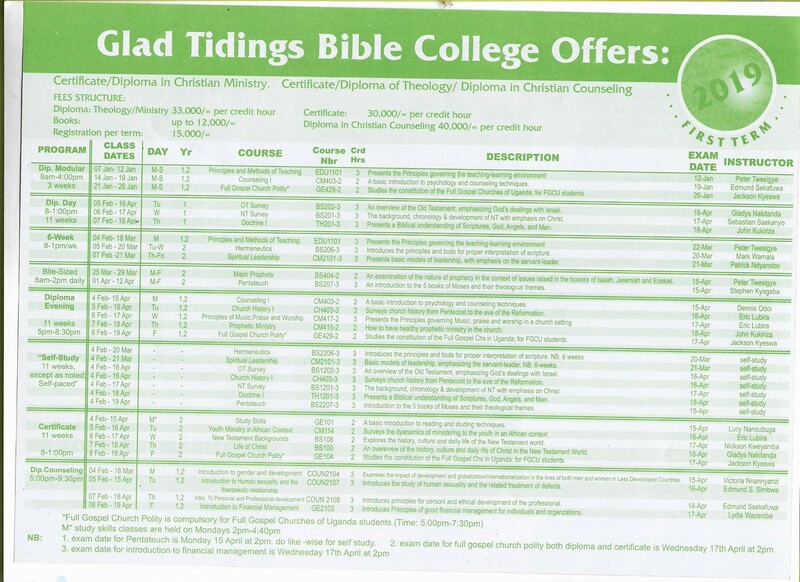 NOTE: At Glad tidings Bible College the academic year starts in February. Therefore it is advisable to all those who wish to join to have applied by January.